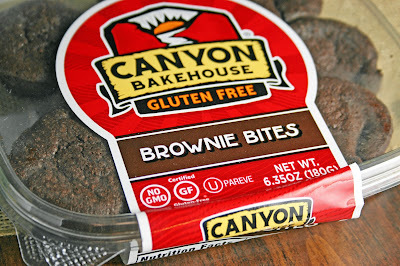 Lazy Gluten Free: New Bagels and Brownies from Canyon Bakehouse! New Bagels and Brownies from Canyon Bakehouse! 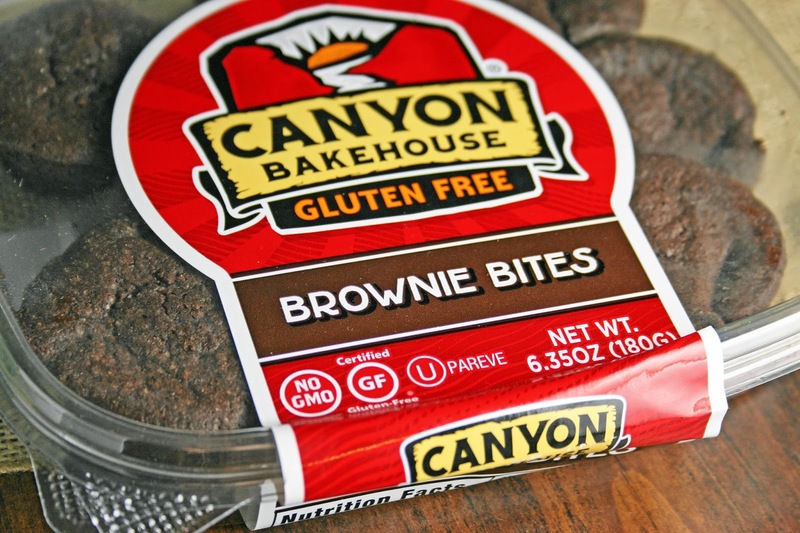 Canyon Bakehouse has some of the best GF bakery products out there. You may remember my review of their bread awhile back (if not, see it here). So I was super excited when Canyon Bakehouse reached out to me asking if I wanted to try their new bagels and brownies before the official release. Of course I said yes! The new products include two types of bagels, Everything and Plain, and Brownie Bites. 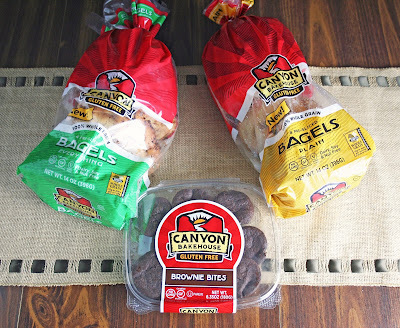 My expectations were very high for all three since Canyon Bakehouse has such great products. I was not disappointed, they were all very good! Read on for more detail on each. When I first opened the box with the products, I could smell the garlic and onion from bagels right away. I used to love onion buns, so I was excited to try these out. They definitely lived up to my expectations with a good onion and garlic flavor and good texture. The only thing that bothered me with these is that they were kind of "hole-y". There must have been a lot of air pockets when they were baked, so there were "caves", as my husband called them. Other than that they were very good. I came up with a delicious twist on grilled cheese for these bagels using kale. Check out my recipe here! I ate these bagels so quickly that I failed to get additional pictures of them. They're very tall, and unlike the Everything Bagels, they're dense like you would expect. In order to fit these into my toaster, I microwaved them for a few seconds to make them soft and squished them down a bit. I suppose you could just stick them under a broiler, but I didn't think about that until it was too late. 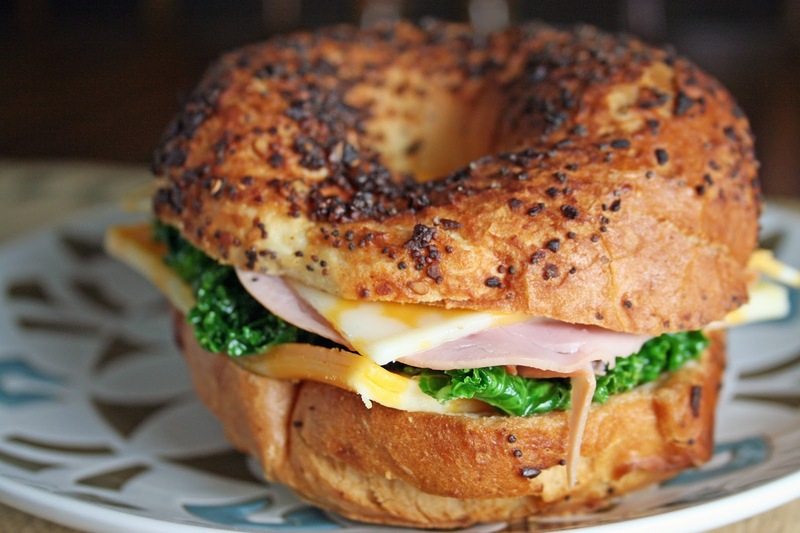 Topped with your favorite cream cheese (I used strawberry) or whatever you want, these bagels are delicious. They're something I plan to keep stocked in my freezer for grab and go mornings. Again, I didn't get detailed pictures of these, but it was also because I ate them too fast. These little brownies are great heated up and served with vanilla ice cream. They're moist and perfectly chocolaty. You cant even tell that they're gluten free! These three new delicious products are available for purchase now on Canyon Bakehouse's website. However, two lucky readers will have the opportunity to try all three FREE thanks to the very generous people at Canyon Bakehouse! All you have to do is use the Rafllecopter widget below to enter. See giveaway rules and restrictions. Note: I was provided with products for free to review, however, all opinions are strictly my own. I would never recommend anything that I would not use myself.